Creating impact, attention and desire at point of purchase is the ambition for most beer brands. 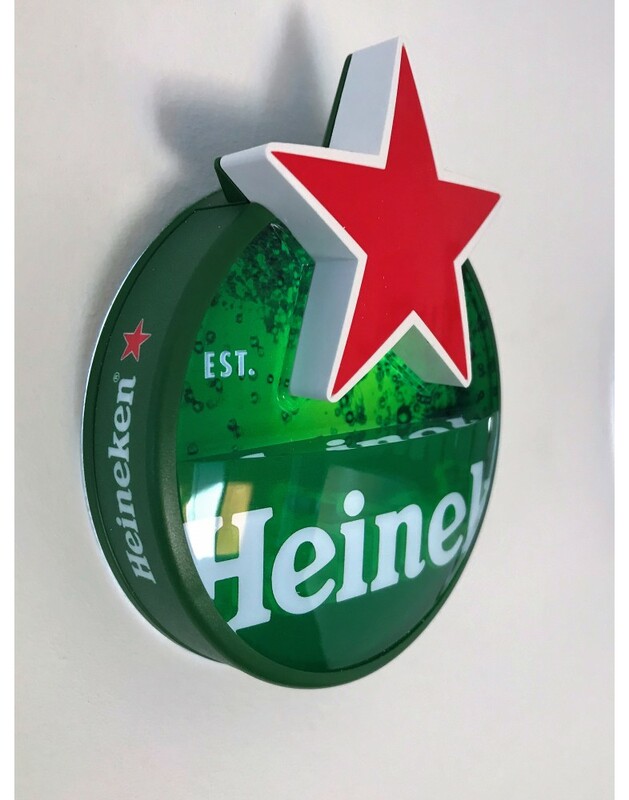 The new Heineken Star 3D lens developed by Micro Matic is the latest example of working in partnership with breweries, both large and small and listening to their unique objectives. Heineken pride themselves on having a passion for quality in the beer they produce and how they operate. Micro Matic are known for the same attention to detail and focus on quality therefore it was a good fit working with each other to develop a new concept in beer lens branding. The unique shape of the latest 3D lens produced by Micro Matic is designed for stand out. The iconic Heineken star bursts from the top of the lens to create a shape that attracts attention and brand recognition from a distance. The lens is available in illuminated and non-illuminated versions, suitable for different bar settings and sets the brand apart from the more standard round and oval lenses that are typically seen in bars in the UK. 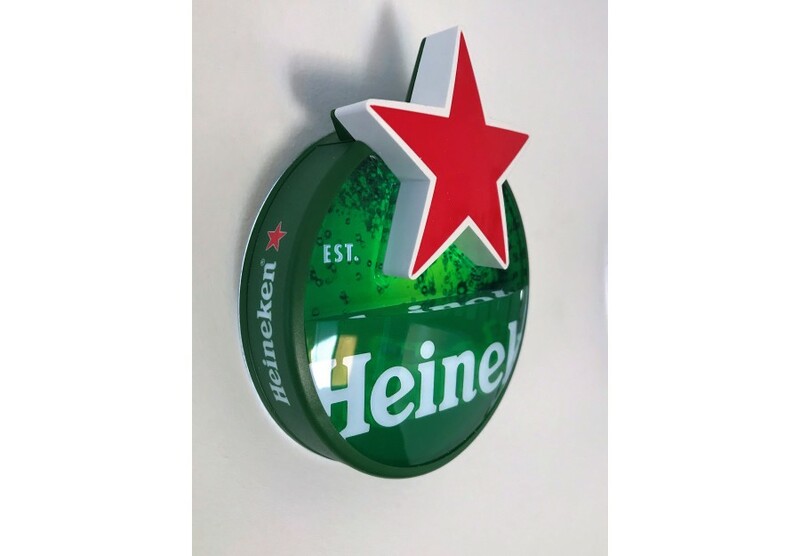 By listening carefully to Heinekens requirements, Micro Matic were able to produce an item of point of sale that was in line with their strict brand guideline requirements and pushed innovation standards for point of sale forward. For smaller brands who do not have the budget for bespoke shapes, Micro Matic offer a range of shapes to suit brands who require shorter runs or seasonal ranges. You can see our range of round lenses and oval lenses available to design and order online on this website. If you would like to discuss other projects and bespoke lens, handle or font design, please contact us and we will be delighted to help you create point of sale that creates brand recognition, attention and crucially, sales.